The ridge is the top of the roof and the style of thatching varies, depending on material, local tradition or customer choice. Listed thatched buildings require listed building consent to change from one ridge type to another. 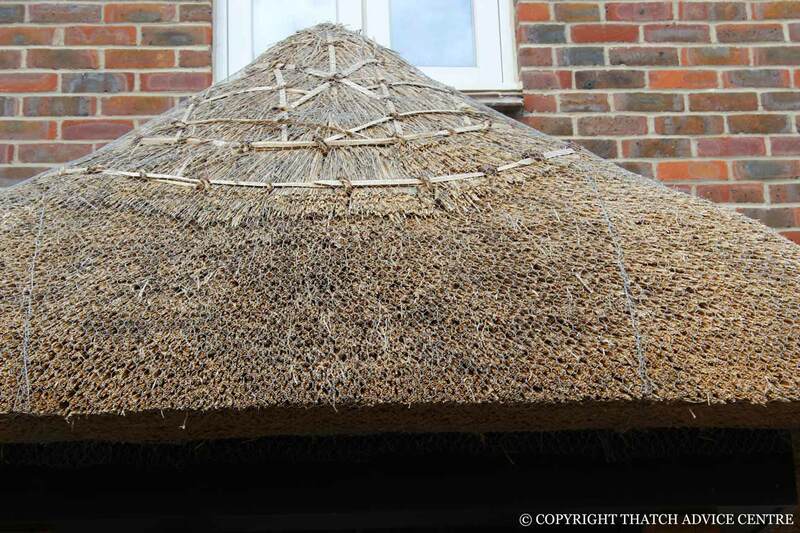 A block ridge is one where a block of thatch is put on top of the roof, usually about 4 inches thick. This may be a straight cut ridge or a patterned (ornamental) one. Ornamental can be scallops, diamonds or anything where the cut can give an upstand. A flush ridge may also be called a turnover, wrapover or buttup ridge. These ridges as described are flush with the main coatwork and are usually decorated with a spar pattern. These ridges are commonly associated with Longstraw roofs but may be applied to any roof if desired (exception being a listed property with an existing block ridge which would require listed building consent for any change). 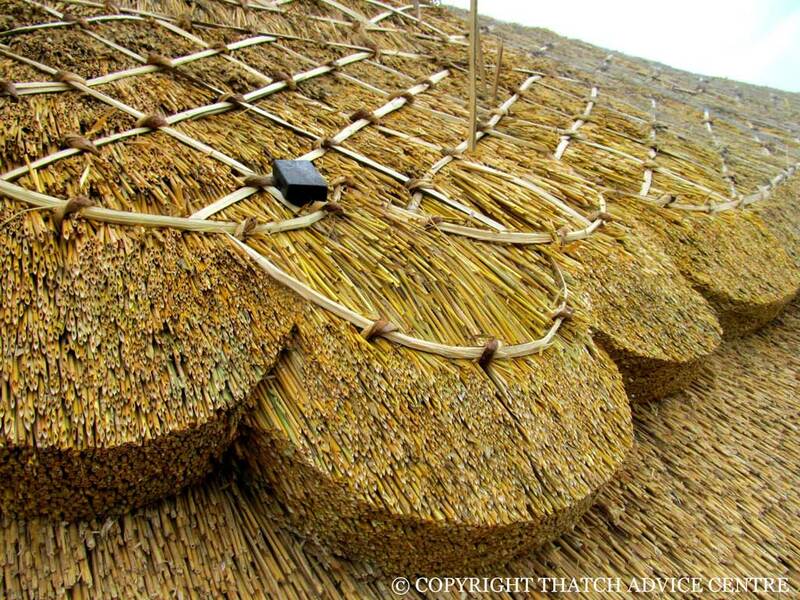 Whilst most thatched roof coatwork is Straw or Water Reed, the ridges are usually done in straw. This could be wheat, rye, hybrid like Tricale or oat straw. Heather, sedge and turfs have also been used for ridging. 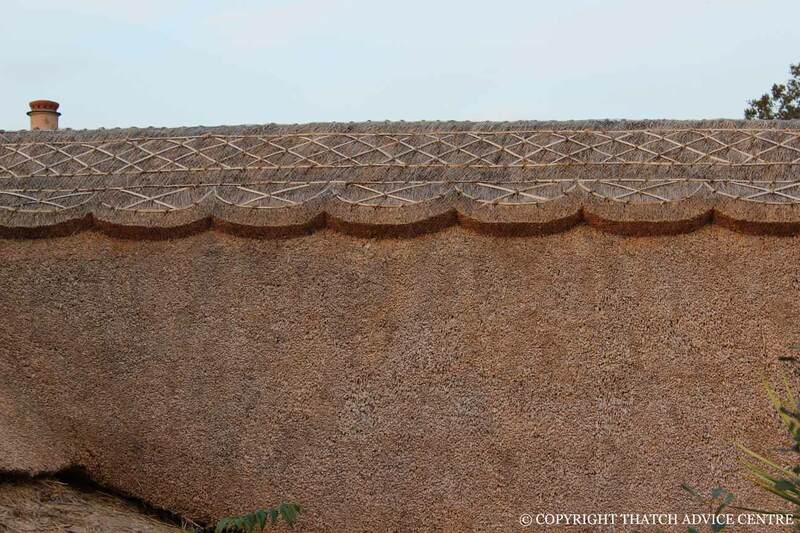 In Europe they use clay tiles for ridging on top of thatch which gives a very different effect.